Such a great time of year! A lot friends are enjoying "The Biggest Week", Doppler radar images show birds on the move across the continent, and I move from my winter to spring/summer "quarters" here where I live here at Bryce Canyon. One of the first things I do at the beginning of April is set up my bird bath. I don't use my dripper right away because those small water lines tend to freeze every night - winter doesn't leave in a real hurry at 8,000 feet. 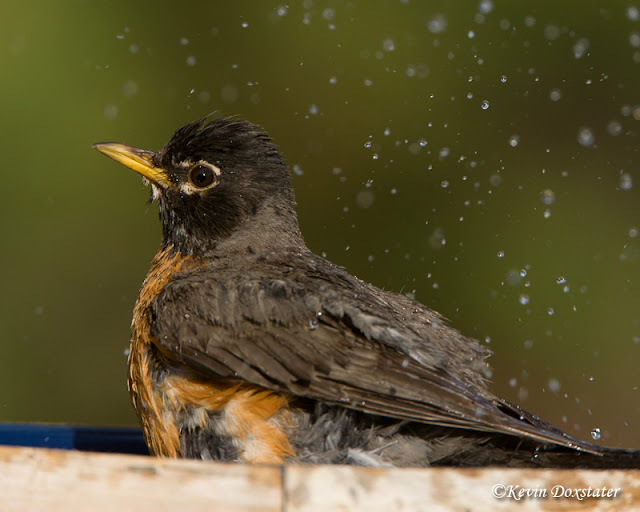 Among the first to find it are the American Robins and I'm not sure if they are the dirtiest birds or the cleanest, but they are always taking baths and I constantly have to refresh the water when they are through. 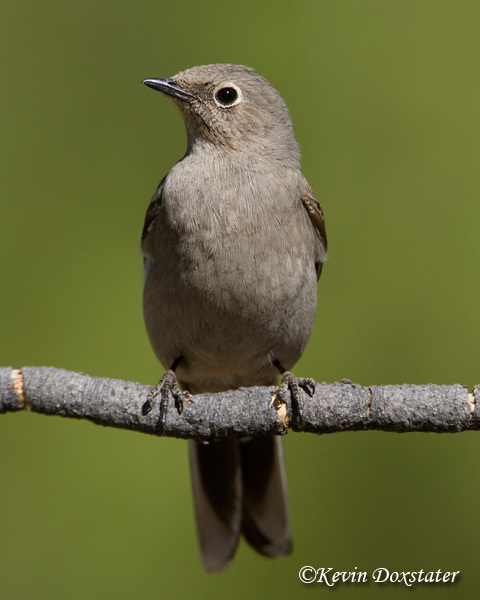 Right behind the robins come the Townsend's Solitaires, but they're not so much into bathing as just wanting a drink. I see them in pairs most of the time and have often wondered if it is the same pair every year. 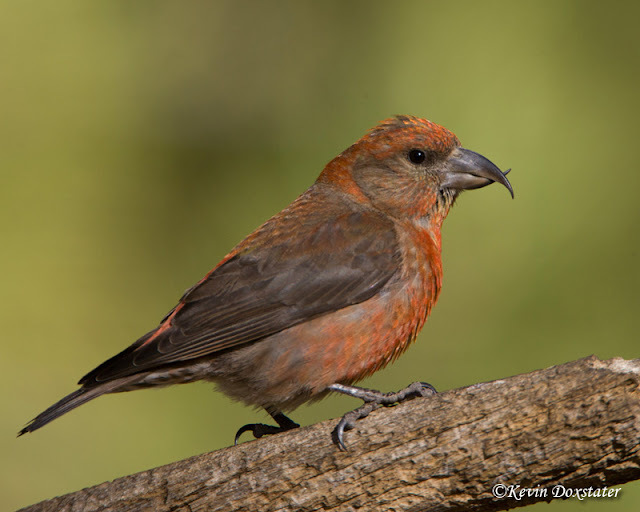 Love my Red Crossbills and they usually come in flocks, especially as we get into the summer after the young have fledged. Seeing quite a few of them around, so it should be a good year for them as some years they seem to disappear, probably moving to other areas where the cone production is better. 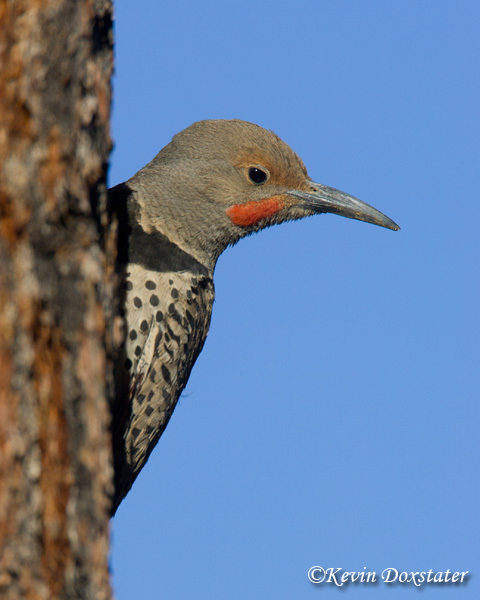 One of the most skittish visitors are the Northern Flickers. Year-round residents, they always seem to present a challenge to photograph, even when I think I'm safely hidden away in my photo blind. 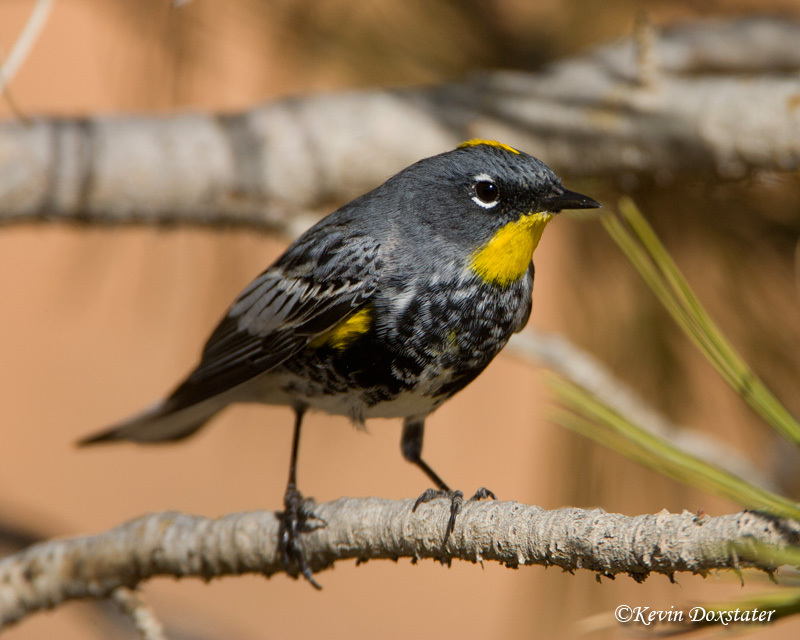 My first warblers arrived about 10 days ago, though I'm only seeing male Yellow-rumped Warblers at the bath so far. Haven't seen a Grace's Warbler yet, but did hear one singing this morning so it won't be long. While the bird bath has been attracting more and more birds for a little over month now, I put the hummingbird feeders out April 29. 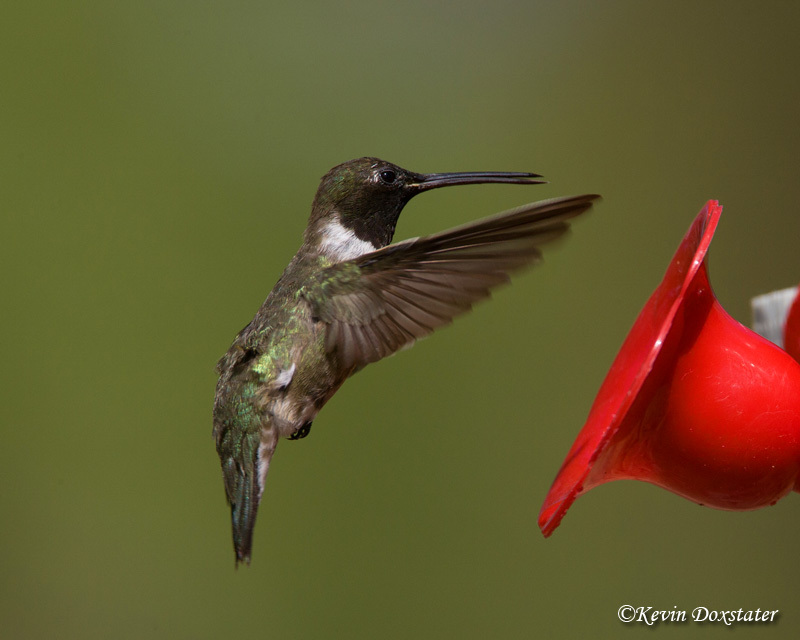 I was actually a little surprised to see them this early, but had a male Black-chinned Hummingbird (top) within 30 minutes of hanging the feeder and about two hours later a male Broad-tailed came for a sip. And, was promptly chased away by the Black-chinned - the feeder wars begin. This bird, though I wasn't able to get a great photo, is the highlight of my spring so far. Fact is, all I really wanted for this little bird was a photo that just good enough to at least document it and for positive identification. The bird in question is a White-throated Sparrow and I'd actually seen it two days before I got this picture and on that occasion it flew off before I could get to my camera. Why was the photo so important? 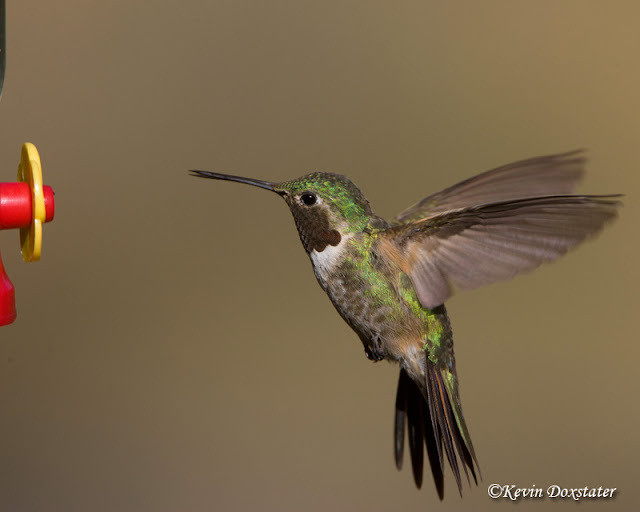 While they have been seen in Utah from time to time, it's a first record for Bryce Canyon National Park. It's my third "first record" over the last decade or so; the first was White-crowned Pigeon in Volusia County, FL (and was also the northernmost record on the eastern Atlantic seaboard) and the second was first record for Greater White-fronted Goose in Garfield County, UT. They don't come often, but I like getting stuff like that. Hope some good birds are coming your way and we'll see you next month! All wonderful birds!!!! Great clear shots of them!!! Lovely birds seen in your area. Exceptional close-up photographs! 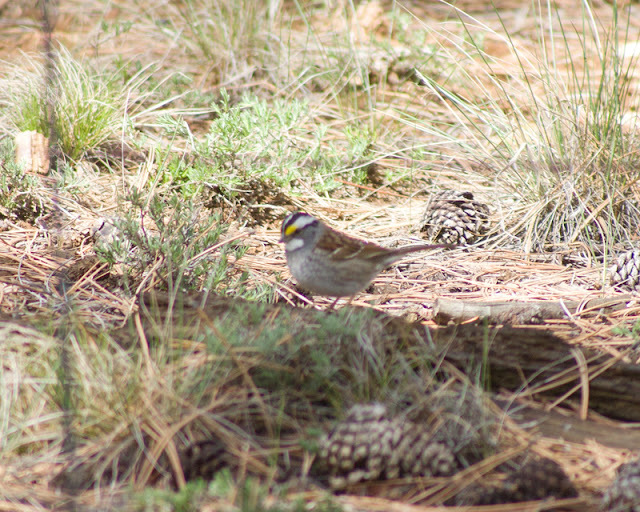 Congratulations on the White-throated Sparrow sighting.